by Mokhtar atop a magnificent neo-Pharaonic pedestal. Cairo Opera House seen in background. Prior to the usage of the 20th century vernacular 'Zamalek', al-Gezira (Arabic for island and also spelt Guezirah, Gezireh or Gezirah) was the most common appellative used when denoting the island, especially after the construction in 1866 of the khedive's Gezira Palace (today Marriott Hotel). Hitherto, the island was simply known as Geziret Bulak or Bulak Island, in reference to the thriving 18th and 19th century fluvial port of Bulak situated on the Nile's eastern bank. Romantics like to believe the name Bulak itself is the corruption of Beau Lac, yet to this day no one was able to come up with corroborating evidence. Likewise, as though to make a geographic and sometimes social distinction, old timers still refer to the area south of 26 of July as 'Gezira' with Zamalek denoting the rest of the island to the north. The name Zamalek itself was borrowed off a nearby Giza hamlet called al-Zamalek situated south west of Embaba town. 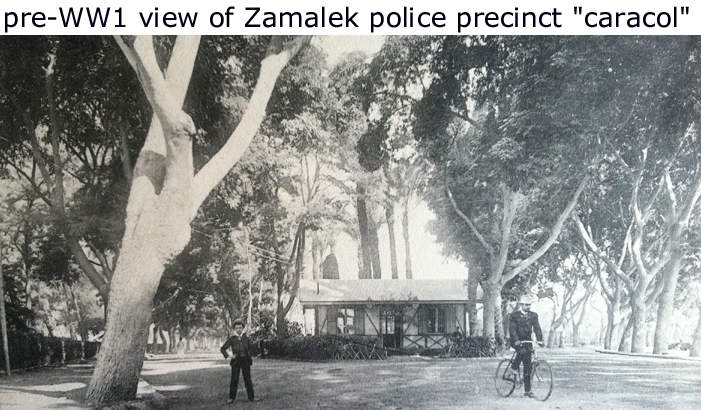 Different interpretations of 'Zamalek' have come up over the years. The most common legend is that Zamalek is the plural of Zemlek, a loose Albanian term meaning a village made up of primitive huts built from straw or reeds. The original huts located on the island were allegedly living quarters to either military conscripts or servants attached to palaces and sarays belonging to wealthy merchants living in the then superior district of Bulak (also spelt Boulaq, Boulac, Boulak). Up until 1900, the only thing on the island sporting the appellation Zamalek was a small iron bridge linking Gezira island's midsection to the then-empty fertile expanse of Giza with the pastoral hamlet of Zamalek within view. In 1913, the still nascent street bisecting Gezira's waist was straightforwardly called Avenue Zamalek. Linking the island's eastern and western Nile crossings the street very quickly became the island's qasaba or commercial lifeline, with a Cairo-Pyramids tramway line running through it. Over time Avenue Zamalek changed its name to Avenue Fouad before becoming 26th of July Street after 1952. But was that chunk of land always an island? Not so, if one were to consult old Cairo maps drawn up in 1873 by geographer Mahmoud Falaki Pasha. They evidence that Gezira Island was once united to the mainland of Giza. The situation changed however between August and October of each year, when, during high flood, three islands appeared, the largest one situated in the middle. Hence, the name Gezira al-Wosta, or middle island used today as a name for a prominent Zamalek Street. Due the construction of embankments south of the island in the mid 1800s, heavy silt and mud movement eventually merged the three islands into one. Similarly, when a channel was burrowed on its western flank that the bobbing landmass became a bona fide island and a very fertile one at that. In his letter to the secretary of state dated 15 September 1873 American Consul R. Beardsley describes how "The island of Guezirah is rapidly being transformed into a beautiful public park and giant nursery. It will soon be home to the new museum presently under consideration." While the museum never materialized, the island was for several decades a large garden, as recorded in plans meticulously laid out by khedivial court landscaper Gustave Delchevalerie. For a detailed description of the Gezira Palace Gardens one needs to consult Les Promenades et les Jardins du Caire (1899), the valuable notes written by Delchevalerie on the subject. As the title suggests, Khedive Ismail's chief landscaper was responsible for several vice-regal and public gardens as well as major boulevards. Concerning the island of Gezira he recounts how over one million exotic species were planted on 600 acres in what amounted to a gigantic experimental nursery. This was subdivided into large square-shaped sections for different categories of plants: fruits (citrus and tropical), ornament, woods, windbreakers, vegetables etc. But that's not all that was on the island. According to Delchevalerie it was also the temporary home to 75 different species of animals and 150 species of birds. These were relocated to the Giza Palace following Khedive Ismail's abdication. It appears however that part of island fell on hard times following the exile of Khedive Ismail. 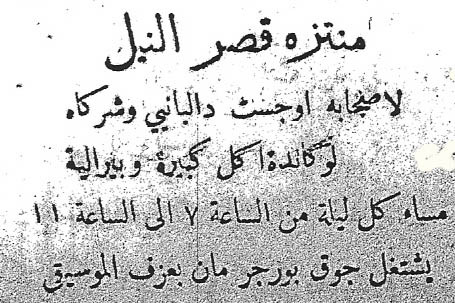 In his book Souvenirs published in 1935, former state administrator Gallini Fahmy Pasha recounts how in 1900, the state domains on the Gezira side of Kasr al-Nil bridge were squatted upon by brigands pausing as farmers. With the start of Britian's military occupation of Egypt the very first British army camp was situated on Gezira island. That same camp would very soon become an exclusive British sporting club (discussed in detail in another section of this website). 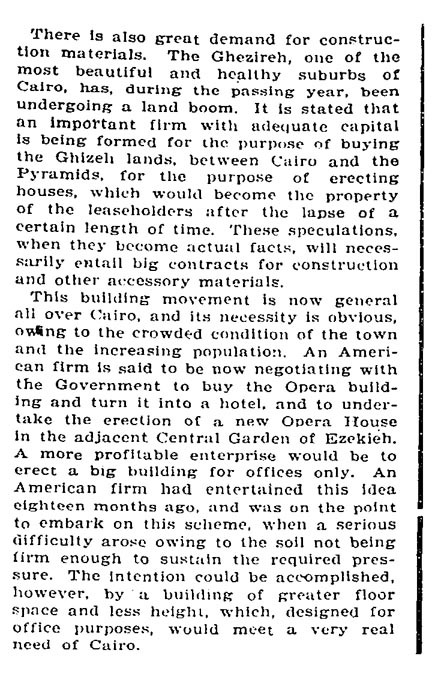 New York Times 3 January 1904 article "Prosperity Rules in Egypt"
The Egyptian Gazette of 16 May 1903. A native contemporary [meaning an Arabic-language newspaper] has fallen into an error in stating that the Egyptian Markets Co. Ltd. have purchased 100 feddans from the Fathers of the African Mission. It is about a month ago now since Mr. Allan Joseph, on behalf of an English syndicate, purchased the land in question for STLG 80,000. It is intended to spend STLG 8,000 or STLG 10,000 in continuing the river wall, which extends from Ghezireh Palace and to divide the land into building plots. First class flats to be let in a modern, up to date building, close to Ghezireh Palace Hotel and Khedivial Sporting Club. Latest perfected system of sanitary installation; automatic electric lift; every convenience. Apply to Anglo-Belgian Co. of Egypt, Ltd., Savoy Chambers, Cairo. For clues on the creation of the actual township of Gezira and the fantastic land speculation that surrounded the island's commercial beginnings let's consult some of the contemporary correspondence and local papers. From the beginning of the 20th century Al-Ahram printed stories on the island's various construction activities giving way to extraordinary land speculation. In 1905 we read "Gezira Land Company buys wasteland from the African Mission for LE 800 per feddan!" followed by the comment "Sellers make heavenly profit." Later on, "Gezira Land Company which started to resell the square meter for LE 0.5 has now raised the price to LE 1.00 per square meter on the rumor of the construction of the Boulac Bridge," with a proposed road linking the new bridge with the older Zamalek bridge facing Giza. 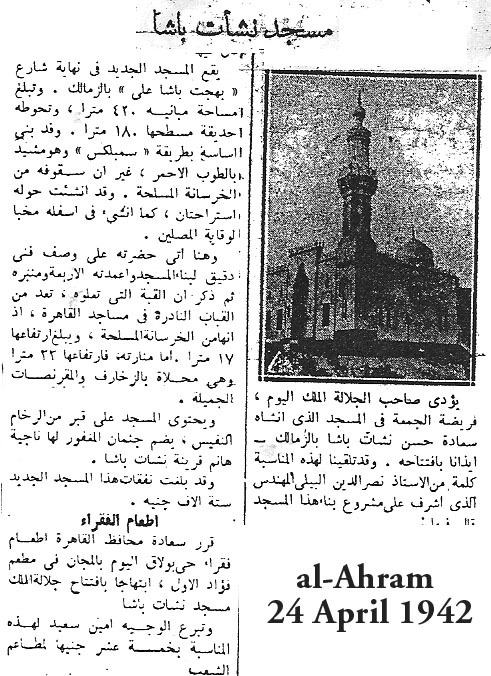 At the end of the article Al-Ahram predicts that soon "Land will sell for LE 8.00 the square meter once the bridge is functional, especially since the land surrounding Gezira Palace already sells for that price." Land speculation was rife in Cairo during 1904-1907 with the simultaneous creation of Heliopolis, Maadi, Koubbeh Gardens, Garden City and Dokki. Considered a prize location, Gezira Island was recurrently mentioned in the press especially as real estate companies mushroomed with the intent of developing the island. Almost all were conceived by foreign residents with one or two token Egyptians. 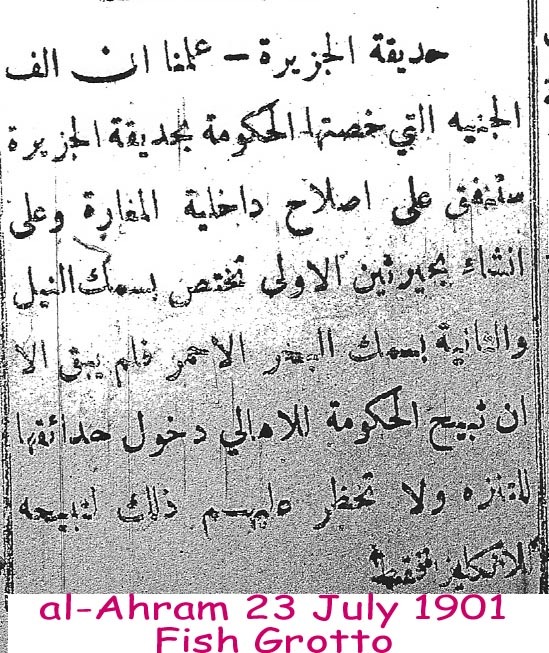 For instance, in January 1907, we read of a land company being formed "To exploit land commercially in Zamalek next to the proposed Bulak Bridge," and that the token Egyptian investor is lawyer Mohammed Mahmoud Khalil whose name would much later be associated with a museum created by his French widow. Other investors in the above company include a Dutch consul already living in Zamalek and a Mr. Skynder, the well-known architect whose landmark building in Zamalek "Zamalek Mansions" stands near the Marriott Hotel fronting the Anglican Church. Unless someone proves otherwise, this edifice was Gezira's first apartment building designed for account of Swiss hotelier Charles Baehler in 1908-9. Today the building is better known as Emaret el Yemeni�Yemeni Building despite the name "Gezireh House" featuring on a large marble plaque above the building's entrance. But were there any private residents on the island before the above date? Apparently yes! In his postcard dated 31 May 1900 addressed to the mayor of Boulogne Sur Mer in France, Chelu Pasha gives as his return address "Villa des Fleurs, Gezira". Chelu writes about the possible return of the body of Egyptologist Mariette Pasha to his hometown. 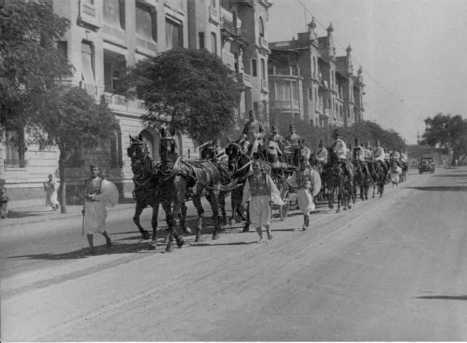 Even though he had died 19 years earlier, Mariette received a funeral fit for a king when his body was re-buried in the Cairo Museum esplanade in March 1904. Another new bridge is to be built across the Nile, the Government having decided on the construction of a magnificent structure to unite Boulac and Ghezireh. The work will be taken in hand shortly. The new bridge [to be known later as Abou al-Ela Bridge reference to a nearby Mosque] will be twenty meters in width and will form a most convenient connecting link between the fashionable new suburb of Ghezireh by the Boulac avenue. The Ghezireh quarter will thus soon form an integral portion of the capital especially as a double line of tramway is to be laid across the river. The Ghezireh end of the bridge will be about two meters to the north of the Ghezireh Palace Hotel and will divide the estate of the Egyptian Hotels Company in two parts. 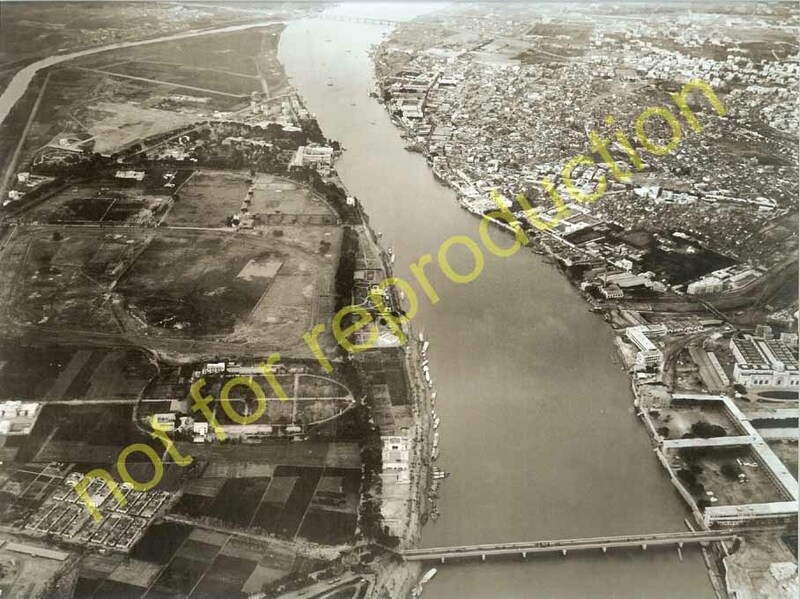 As expected, Gezira Island became a serious destination once the Belgian-run tramway company inaugurated Bulak (Abou al-Ela) Bridge in August 1912 . And with the rapid rise in urban development after WW1, it was a matter of time before the island turned into a full fledged Cairo suburb save for the island's marshy area in the north which remained almost uninhabited save for some ragtag straw-hut settlements and a handful of pioneer Britons who nicknamed it 'North End'. Living on or near a marshy area was no impediment for these stalwart Britons for they were mostly retired military with comfortable sinecures in the Egyptian administration. The so-called retirees often observed to their friends how the island's northern Nile foreshore expanded and contracted with each flood season and that sometimes, during a particularly high flood, the area disappeared altogether! Whereas in 1926 the square meter in this section sold for LE 1.00 the area south of 26th of July Avenue sold for double that amount. 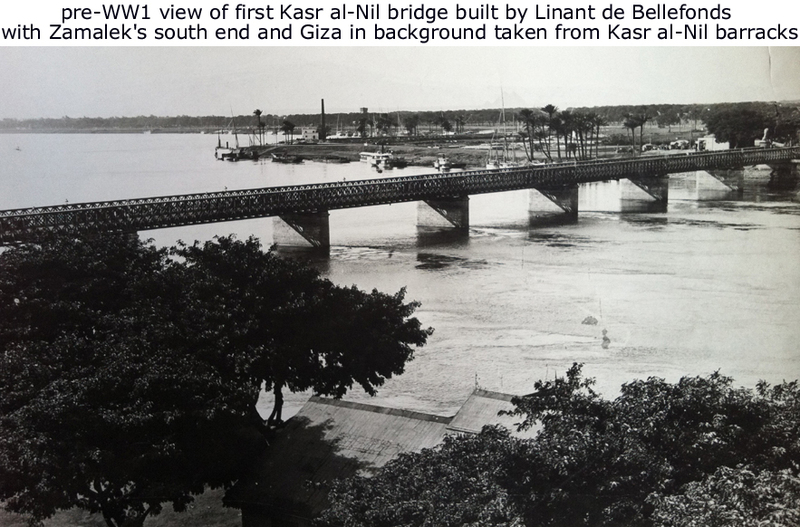 With time, the Belgian connection to Zamalek transcended the introduction of Abou al-Ela Bridge and the Belgian-run tramway that crossed the island. 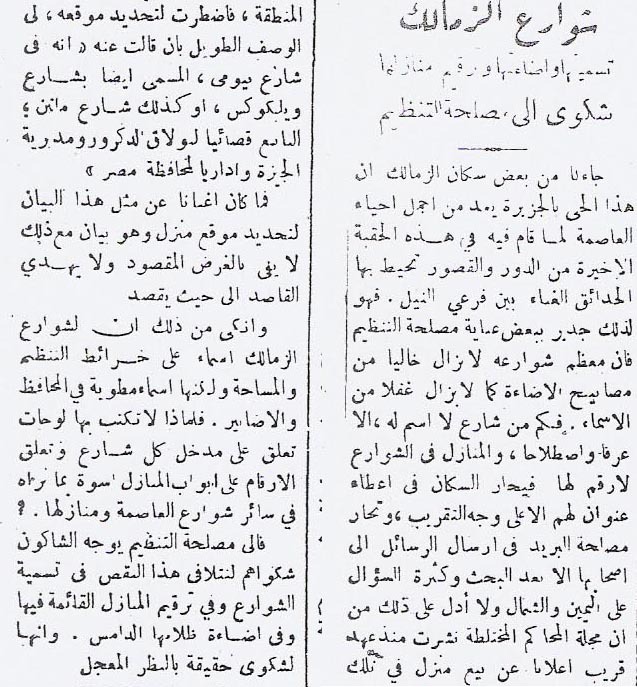 For instance, on 17 March 1934, the Journal Officiel announces the creation of the Societe Immobiliere de Zamalek S.A.E. which aimed at constructing apartment buildings on the island. Capitalized at LE 25,000 divided in 1,250 equal shares, the company's principal shareholders were the well-known Belgian constructor Monsieur Leon Rolin and his son Daniel. Another anchor shareholder was Banque Belge represented by its director Louis Van Damme. Until this day, the most visible Rolin construction on the island remains the massive 10-storey Immeuble Rolin at No. 14 Gezira Street opposite the children's Gezira Sporting Club entrance. By 1924 the streets on the island's Gezira section west of the former khedivial palace had received lofty names so that the streets lying west of Hassan Sabry (ex-Gabalaya) Street honored several Ayubid sultans including the notorious Armenian-born Sultana Shagaret el Dorr, the first woman to rule Egypt since Cleopatra. Meanwhile, the streets east of Hassan Sabry were named after various members of the incumbent royal family. These were changed after 1952. Flora too lent its name to parts of the island, which is why there was a Ward or Flower Street, and why the area surrounding the Anglo-American Hospital was, and still is, known as Zohria (Flowery) in view of the botanical gardens created there. Althought the Anglo-American Hospital was the first medical institution of its kind on the island of Zamalek, during WW1 the Gezira Palace Hotel (formerly Khedive Ismail's Gezira Palace) as well as a couple of the island's buildings including Gordon House (then owned by Clement Rofe), were expropriated by the British High Command and turned into medical facilities catering to the wounded soldiers returning from Galipoli front. Several streets north of 26th of July Avenue were named after Egyptian residents of the island: Bahgat Ali Street was alternately known in the 1920s as "Rue Chawarby" in reference to Mohammed Chawarby Pasha who owned a larger mansion there. Likewise, "Rue Doctor Fathi Bayoumi" referred to the doctor by the same name who along with his English wife, was one of the island's earliest Egyptian inhabitants. There were also streets named after several of the island's foreign residents such as Privat, Diacono, Milton, as well as British irrigation engineers (Sir William) Garstin, (Sir Scott Colin) Moncrieff and (Sir William) Wilcocks. Likewise, there are those streets named after Egyptian engineers Ismail Mohammed, Mohammed Sakib, Mohammed Mazhar and Mar'ashly Pasha. Some streets were named after adjacent establishment hence the western section of Mar'ashly Street (the eastern part did not yet exist) was called Mahkamah (Tribunal) Street. 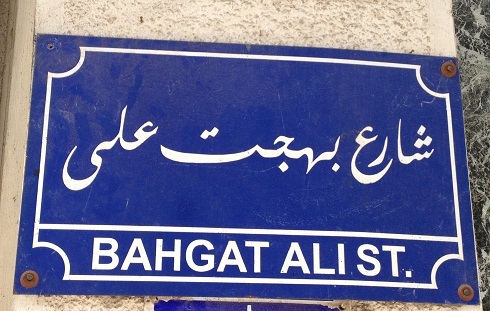 In 1926 the Indigenous Court of Embaba was located where Mar'ashly today intersects Bahgat Ali Street. And there were streets named after nearby religious institutions such as Monsignor Sogaro, Comboni, and Saint Joseph. True to Cairo tradition, many of Zamalek's streets succumbed to name changes. 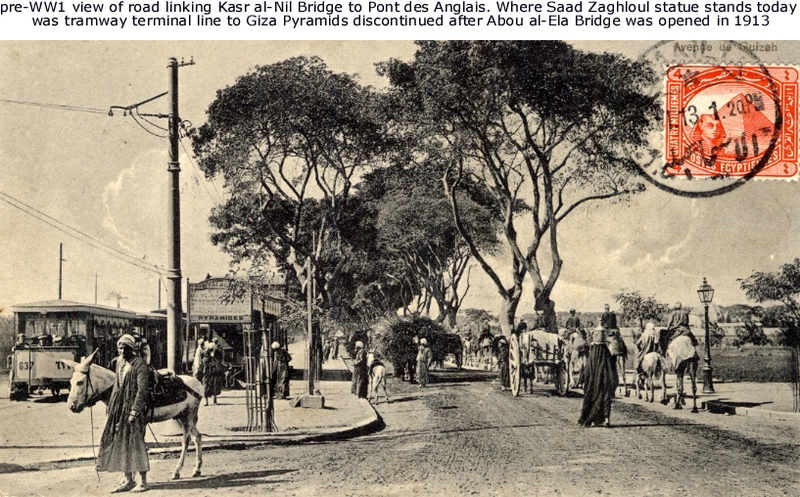 Pont de Bulak became King Fouad Bridge long before it became known as Kobri Abou al-Ela, reference to the nearby tomb and mosque of Sultan Abou al-Ela. For lack of a name and since hardly anyone lived there, Mohammed Mazhar Street was referred to as Gabalaya up to the late 1920s. It was after all an extension of the latter street. Later, it would carry different names such as Rue Doctor Rosi and Amir Saiid Street. It was only when the original Gabalaya was renamed Hassan Sabry Street that Bahr el Aa'ma Lane was itself renamed Gabalaya. Confusing? Absolutely! Well, here's another muddle. Bahr al-Aa'ma (Blind or Dead End Sea) is reference to the western branch of the Nile that up to the late 19th century dried up in winter becoming a dead end for Nile boats. Only when the channel was deepened did it become navigable year-round. Local history books claim the first worthwhile landmark to surface on Gezira Island was the saray, or summer palace built in 1866 by Khedive Ismail. Three years later, during the Suez Canal opening festivities, Gezira saray was romanticized as the temporary residence of Empress Eugenie of France with the press writing multiple articles on the subject describing its every nook and cranny. Ditto for members of Emperor Franz Josef of Austria's delegation who copiously described the palace in their various correspondence. For more details on the history of the saray, a separate article can be found in the Zamalek section of this website entitled Sale of the Century." One of the first pre-1925 schools to open in Zamalek was run by the Catholic Church. Later on would come the Catholic Girls College off Bahgat Ali Street and the St. Joseph Preparatory School for Boys off Gabalaya Street (today Brazil Street). It was not long before non-denominational and secular schools opened on the island as well. Foremost among the island's schools was 'Zamalek School' founded in 1930 by Madame Valentine Morin. At first located at No. 25 Mohammed Mazhar Street, then known as Rue Mario Rosi, it moved in 1933 to the abandoned premises (1.5 feddans) of turn of the century prime minister Mustafa Fahmy Pasha at No. 4 Ibn al-Mashtub, overlooking the Fish Garden. Whereas the school later disappeared part of its grounds became the German Embassy in the 1980s. view of Chinese Embassy on Bahgat Ali Street previously the residence of Ambassador Hassan Nachatt Pasha. This villa is not to be confused with neighboring Chinese Embassy residence successively owned by Paul Neauville and Maurice (Alta) Doss-Kolta family from Upper Egypt (leased to Abdel Hamid Chawarby Pasha for LE 15). 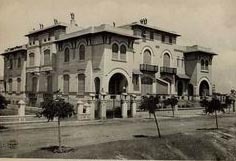 The only diplomatic institution in Gezira prior to WW1 was the Agence Diplomatique Neerlandaise that had as its address: Mr. P. C. van Lennep, Villa Beauregard, Gezireh. Unlike today, diplomatic agencies were still situated in downtown Cairo and Kasr al-Dubara. Founded in 1846, the Austria-Sudan Mission recruited its priests from Verona and the Southern Tyrol with the ultimate purpose of enlightening the natives of Sudan. During the Mahdi's uprising the missionaries fled to Egypt establishing temporary headquarters on 120 feddans (acres) of Gezira Island land provided by Khedive Tewfik at a give-away price per feddan. It was there that the exiled missionaries set up a church, a school and an agricultural farm. When it was safe for them to return to Sudan, now under joint Egypt-British control, the land was parceled out and sold to developers at a substantial profit, evidencing that the Church is quite skillful when it comes to business transactions. 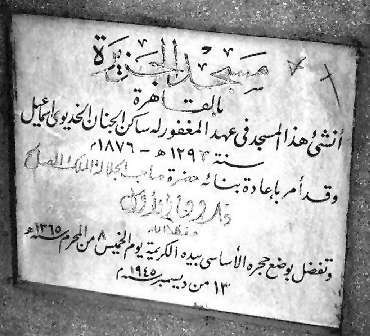 December 1945: King Farouk laying commemorative plaque for the restoration of Nileside 'Gezira Mosque'. Below: same plaque defaced by Nasser's regime. Almost hidden below 6th of October Bridge is another Nileside landmark. Opposite the Ramses Hilton across the Nile stands El Gezira Mosque. It is the island's first Muslim place of worship. Constructed in 1876 by Khedive Ismail it was completely restored during the reign of King Farouk who attended its re-launch in December 1945. The island thus had its mosque, its church, albeit a Catholic one, but to the ordinary visitor there was no synagogue in sight! True, unless one accepted the makeshift oratoire located on Wilcocks Street, inside the villa of one of Zamalek's many Jewish residents. Two foreign institutes that operated on the island prior to WW2 were the official and the de-facto German Archeological Institutes. In 1931 the official one was located in a new villa at No. 5 El Kamel Mohammed Street, headed by Professor Hermann Junker (1877-1962). When WW2 was declared the Institute was closed down. The de-facto German archeological Institute meanwhile operated out of the former German Orient Society--Deutsche Orient-Gesellschaft, in existence since the turn of the century. 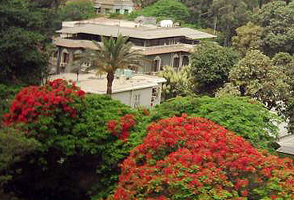 Located in a beautiful property overlooking the Nile, it is better known today as the Swiss Institute for Archaeological and Architectural Research--Maa'had El Swissry, hence the long-standing name of the adjoining street, which later changed to Aziz Abaza Street. The occupant of this academic center (for a while known as the Borchardt Academic Foundation) was veteran Egyptologist Herr Ludwig Borchardt of Nefertiti fame. Like Hermann Junker, he was a bona fide Germanophile, but unlike the Catholic Junker, Borchardt was a Jew. The advent of WW2 and fearing for his interests, the Berlin-born director of the Deutsches Archaologisches Institut Kairo and his wife, Emilie Ed. Cohen, struck a deal with the Swiss in return for safe passage and protection. Professor Borchardt died in Zurich on 12 August 1938 aged 74. Ten years later the Swiss were declared the official beneficiaries of his floral estate on the Nile. They are still there today hence the survival of these century old buildings and their garden, which if the rumor is correct, is the also final resting place of Professor Borchardt's ashes. Apart from these two German centers, by far the most important colonial institution on the island was the British Sirdaria. Second in order of colonial importance after the British 'Residence' at Kasr al-Dubara, the Sirdaria was home to the British Commander of the Egyptian Army. The Sirdar (a borrowed Indian title) was also Governor General of the Sudan. Several Sirdars made their marks in British Imperial history, Kitchener and Wyngate foremost among them. A Sirdar who made it posthumously to fame was Sir Lee Stack. His assassination on 19 November 1924, while returning to the Sirdaria, not only brought down Saad Zaghloul and the entire Wafdist government, but also cost Egypt its 50% stake in the Sudan. The Sirdaria fronted the midsection of Avenue Zamalek. After 1936 it would turn into a British Club before becoming part Egyptian Officers Club, part theatre after 1952. The last Sirdar to live at the Sirdaria was Major General Sir Spinks Pasha. Relieved of his functions following the Anglo-Egyptian Treaty of 1936, he and Lady Spinks moved into a 4th floor apartment at No. 18 "Nile View," Saray el Gezira Street. During WW2, Zamalek was once more home to platoons of British and other multinational generals and field marshals, along with foreign kings and exiled heads of state. They occupied some of Zamalek's grandest villas while the poorest among them, like the king of Greece, would make do with their handsome embassy residence on Ibn Zanki Street. A long gone pre-WW2 landmark is the once famous Thomas Cook & Son docking facilities at what was then nicknamed Izbet al-Kobri (Bridge Farm) later to be replaced with a pleasure palace and the Gezira Sheraton (later to become the Sofitel). Hence, visits to Luxor and Aswan aboard Cook's legendary paddle steamers PS Setti Karnak and Tewfik, began or ended at Gezira's southern embankment. It is also at Cook's Gezira wharf that several dozen cases containing capital objects from Tutankhamun's tomb, arrived on Monday, 21 May 1923, en route from Luxor to the Egyptian Museum. It is interesting to note that Egypt's first modern-day exhibition halls were re-introduced on the island in the 1920s replacing older ones built at the turn of the century, for by now Egypt's annual agricultural fairs were already world-famous. A half-century later, these same fair grounds became home to Egypt's Japanese-built opera house. And since the island's modern beginnings had been so inexorably tied with Egypt's first opera house during the Suez Canal inaugural festivities, in a way one of Cairo's chicks had come home to roost. One of the very first institutions on Gezira Island was the Gezira Sporting Club launched by the British circa 1883. Aside from its legendary sports activities and in view of its social, cultural and political importance, a separate article appears on this website. Beneath the overriding shadow of the 6 of October Bridge are several other noted clubs the most famous being the century old National Club (see separate article on website) and the prestigious Feroussia (Equestrian) Club. The latter was inaugurated on 30 April 1938 by King Farouk having for its first honorary chairman, Prince Youssef Kamal, with al-Nabil Amr Ibrahim as its first president. For a long time it was frequented by Cairo's elite. It was also a place where many young ladies were wooed by handsome cavalry officers in their awesome military attire. Two other century-old institutions still around on Gezira Island are the Fish Aquarium and the Andalusian Garden. During Gezira island's pre-WW1 days the aquarium was a favorite for picnics. The aquarium also known as Hadikat al-Asmaak opened to the public in November 1902. It was landscaped by Captain Stanley Flower at a cost to the state of LE 1,150. But perhaps we should use the term re-landscaped since, thirty years earlier, the foundations of that popular destination had already been laid out by Delchevalerie whom we met earlier. In his above-mentioned volume he mentions how "The Ghezireh Aquarium and its magnificent grotto were constructed by MM. Combaz & Dumpily." But in those days the palace gardens and their dependencies were for the exclusive pleasure of the khedive and his privileged guests. Whereas their izba was nothing less than a filthy agglomeration of hovels where contraband goods were hidden. With the consent of Egypt's financial controller Sir Elwin Palmer, I offered the squatters the choice to move out with due compensation or face the consequences. They refused to budge. Hence my decision to send an overnight task force of 300 able bodied men who forcibly evicted the squatters. The following month the filthy izba was replaced by a public park surrounded by an iron fence that would become one of the nicest promenades in Cairo. What we know today as the Andalusian Garden had become a pleasure park from as early as 1900. It had been leased by the government to Fahmy Gallini Pasha and his partner Rene Ismalun Bey. In turn they subleased part of the area to a Mr. Zender who built a summer casino and a teatro, not far from where the Pocket Theatre stands today. Later, in April 1906, the government attempted to revoke its 15 year concession with an offer to indemnify Gallini Pasha with LE 3000, and Mr. Zender and Mr. Ismalun Bey with LE 4000 and LE 1,000 respectively. The government's plans to construct housing lots for its senior employees on that land were eventually mooted. "Curious roofless building of white stone, made up of a stage and boxes, which is used, I believe, in summer as a café-concert. An enterprising gentleman attempted a year or two ago to establish there a miniature Monte Carlo. He arrived one day with his luggage composed exclusively of roulette boards and pretty women, the latter more charming than virtuous, and was convinced, that, armed with irresistible weapons, he would encounter little difficulty in plucking rich visitors and spoiling the Egyptians." Nearby Dalbagni's eatery were Zamaleks' Theatre des Ambassadeurs and the popular skating rink later to be replaced with the Andalusian Garden and a newer theatre called Masrah al-Geib (Pocket Theatre). 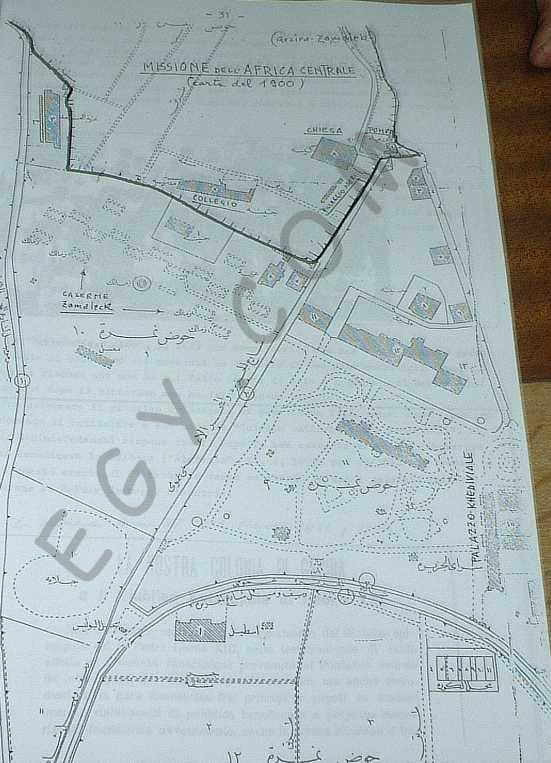 If in the southern part of Gezira the filthy agglomerations were replaced by a park and a casino, the grubby areas north of the island were still neglected in the 1920s which is probably why, in December 1928, Gezira residents complained to the Ministry of Health of hovels not unlike those mentioned two decades earlier. 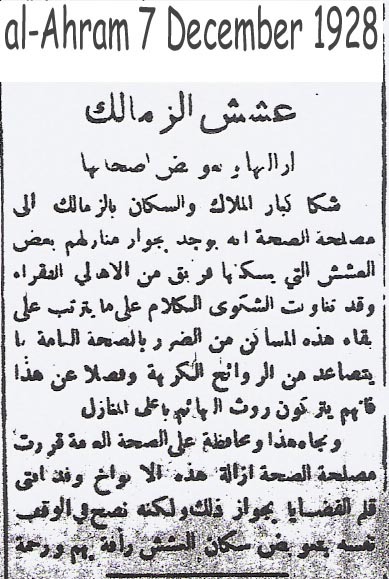 "These are disease manufacturers and should be removed and their owners compensated" reported al-Ahram in its 28 December 1928 issue. Ismail Mohammed Pasha was chief irrigation engineer for Egypt's southern mudireyas--provinces when the important Ibrahimia Canal was dug. In 1899 he was appointed President of Majlis Shoura / Kawanin, a legislative body. Born in Korashia, Gharbia, Mohammed Thakib Pasha was a 19th century engineer who participated in the Delta Barrage al-Kanater al-Khairia project. He was also chief engineer in Upper Egypt. Ahmed Heshmat Pasha (1858 - 8 May 1926)born in Kafr al-Meselha, Monoufia. A graduate of Cairo's Law School, he obtained his Ph.D. from Montpelier, France. Starting off as a public prosecutor (Avocato Oumoumihe was appointed in turn governor of Gerga, Assuit and Dakahlia. He was a member of several government cabinets as minister of Finance, Education, Foreign Affairs and Awkaf. Heshmat Pasha headed the committee that drafted the 1923 Constitution. Civil engineer Mohammed Mar'ashly Pasha was minister of public works during the reign of Khedive Ismail. Later, he was appointed chief engineer of coastal forts about the time when the British fleet bombarded Alexandria in July 1882. 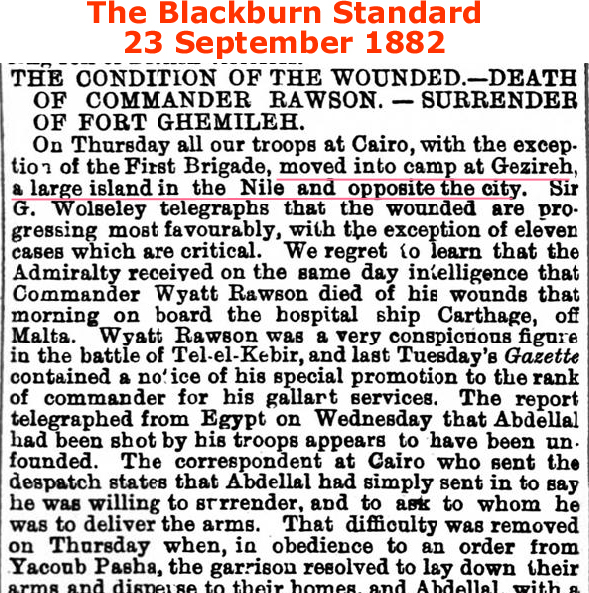 When consulted by Khedive Tewfik regarding an appropriate response to Britain's aggression, Mar'ashly, contrary to all those present, suggested conceding to the British. Sparing innocent lives was the best option in view of the poor state of the military. I was reading this afternoon, your article on Zamalek. I just want to point out, that my conviction is that the Albanian word Zemlak (meaning in Arabic Echlak) is the same word. This discussion I had in around 1945 with the charming and most erudite wife of the Albanian Ambassador to Cairo, Madame Abdil Sulla. This lady was convinced about it. The alteration in between the two words is due to the pronunciation of several soldiers from different ethnies Albanese, Turkish, Circassians, English (especially English) and Arabic. If you repeat several times Zemlak and Echlack I am sure you will understand what I mean. I may be wrong, but this is my own conviction. When I was a child in the early 1930, everybody used to say Guezireh, the word Zamalek was very, very, very, very rare. The only people at this time who used Zamalek was for the bridge going from Zamalek to Embabeh.The word Zamalek came as a substitute during the war and after It was specially the English occupation troops who used it first commonly. 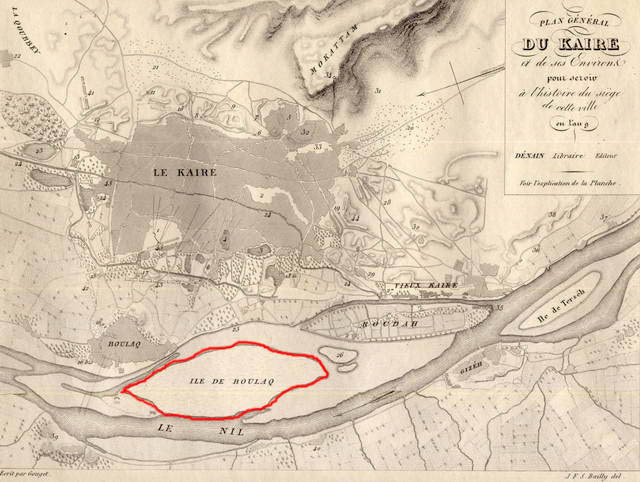 You know, that the first building built on the Boulac island, was the Palace of Mohamed-Aly, around 1835 (renamed at the time of Ismail Pacha Harem) with an Echlak which was the ancestor of the Nadi el Zobbate. Wonderful to read so interesting articles. I was a member of Willcocks Sports Club which bordered on the better known Gezireh Sporting Club. Regrettably, your article does not mention Willcocks S.C. which was a wonderful place with all kinds of sporting activities, including croquet! Gezireh Race Track bordered Willcocks and I well remember seeing races as the horses swept by with cries from the crowd of "Yallah Maurice" one of two brothers named "Sillag" who were jockeys. I visited Cairo recently (January 2007) and was saddened to see the state of the grounds which showed that that they had been neglected for many years and appeared not to be used for any purpose. The old tree which stood in the middle of the road close to the club entrance was still there not looking very different from when I first saw it 65 years ago ! Mr. Maurice Doss, now in his late 80s, recounts the story behind the dicey purchase of his Zamalek residence on Taha Hussein Street by the Chinese Embassy in 1956 at the cost of LE 120,000. Egypt was still a budding republic when Mr. Hamada El Tarabolssi (renown as Egypt's fattest man) contacted Doss on behalf of the Presidency. "He told me that the state wanted me to sell the house post haste without giving further explanation. When I refused, I was personally contacted by telephone by a senior official at Presidential Affairs, Mr. Salah El Shahed, who reiterated the request. He underlined that it was in my best interest to sell rather than have the house expropriated. I succumbed. " Egypt had just upgraded its relations with the People's Republic of (Communist) China from a mere interest section to a full embassy and the new ambassador wanted his residence to be directly across Bahgat Ali Street from the then-Chinese consulate turned Embassy. The unfortunate Maurice Doss and his family had hardly moved into the house, which he had purchased from Paul Neuville, Techinal Director of the Egyptian Sugar Company, before it was time to move out. He relocated in the former property of Aslan and Gilda Vidon (now partly the Five Bells Restaurant-Bar) at Zamalek's No. 9 Adil Abou Bakr Street. "The streets of Zamalek are straight and parallel. They are leveled and by far the cleanest in Cairo. Graced by its villas, its large homes and its gardens the island is however marred by four skyscrapers belonging to Ades, Harari, Rodrigues and Naguib Youssef. Sadly, they have defaced the otherwise clear vista. Zamalek is also home to the most beautiful sporting club in the world stretching over 150 feddans -- ten times bigger than Ezbekieh Gardens." Merci. J'ai bien apprécié la documentation avec des larmes du coeur. J'ai laissé Zamalek le 14 juin 1967 pour vivre à Montréal selon la volonté de mon père. Mais sincèrement l'Egypte et Zamalek où J'ai grandi habite mon esprit et mon coeur. J'étais championne de ping-pong, membre du Guezireh club.Eh ! les beaux souvenirs. Merci pour les larmes, qui ont réchaufé mon âme. Your site brought back memories of my time at Ecole de Zamalek which I attended in the late 50s. I left Egypt in 1960 and returned to Cairo in 1986 for a very short stay. From the main road in Zamalek I walked down to Sharia Ibn-el-Mashtoub where the school was located but the school no longer exists. I believe the German embassy is housed there in new buildings. No one would be able to tell now that there used to be a cosmopolitan school there in days gone by, which had an English section preparing students for GCE examinations and a French section where students could take the Baccalaureate. It was an excellent school and the staff and student body were a happy lot. Thank you, thank you for a most informative sight. 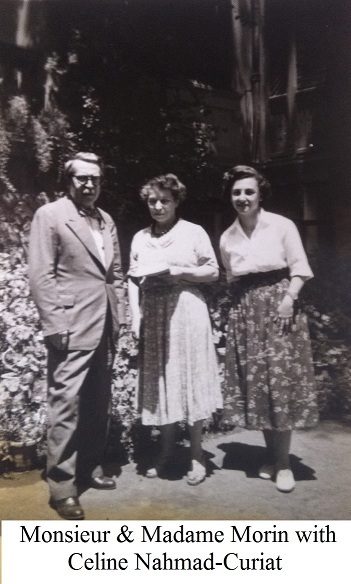 I lived in Zamalek with my family in a villa till 1945 and attended the Morin School. I have many fond memories. My grandfather had a large jeweler store called Kramer & Sons established in 1920. My father Adolphe Kramer was court jeweler to King Farouk. I am in the process of writing my memoirs for my children and grandchildren.. Do you have any information regarding A. Kramer Argenteries or Jewelers? It would be most helpful and greatly appreciated. Viewing your informative site prompts me to send you this bit of information about my living in Zamalek. I was born in Heliopolis, raised in Cairo and lived in Zamalek during the 1940's. Our family, headed by my father, Miralai Marcou Bey of the Egyptian Police, first lived on the 3rd or 4th floor of the Baehler Building overlooking Fouad I Street. Later, we moved to the top floor of the building on Mohamed Mazhar Pasha Street, adjacent to what was then the Apostolic Delegate's residence. Incidentally, our Baehler apartment was then occupied by my cousin, Dr. Paul Ghaliouingi, the author of many books on Ancient Egyptian medicine. Many of my friends and classmates at the Lycee Francais du Caire, also lived in Zamalek. We often went to the "Grotte" to view the aquarium with its catfish. I moved to the United States in 1949 and have kept up with many Zamalek friends since. It is great fun to view your site. They bring back many wonderful memories. Your site is terrific...you have taken me down memory lane. I am just sorry I had not found it earlier... I lived at 3 Baehler Street between Soliman Pasha (now Tal'at Harb) and Kasr al Nil. Your pictures are also simply great! You have such a wonderful wealth of knowledge! Like Mrs. Weinstein I would like to see Alvernia English Convent School in Zamalek mentioned on your web site. Do you have pictures of the old school? I think the government had taken over the land in 1949; we all had to go to St. Clare's College in Heliopolis (same order of nuns) to finish our education. It would be nice to see St. Clare's also mentioned. I clicked on AUC Registrars (American University in Cairo) but only one picture came out...the others were blank? On still another site it was ood to see a picture of Ambassador John Badeau who was President of AUC when I was a student. Keep up the excellent work! I wonder if you or any of your readers have any memory, photographs or other mementos of a French school in Zamalek, located across the street from the "Jardin des poissons", along the Nile. It was called Cours Morin or Cours Morin de Zamalek and, as of 1956 when it was nationalized, Ecole de Zamalek. I believe it survived into the early sixties under that last name and was then moved elsewhere in Cairo. I understand its Zamalek location has been destroyed and replaced by housing for diplomats or some such construction. 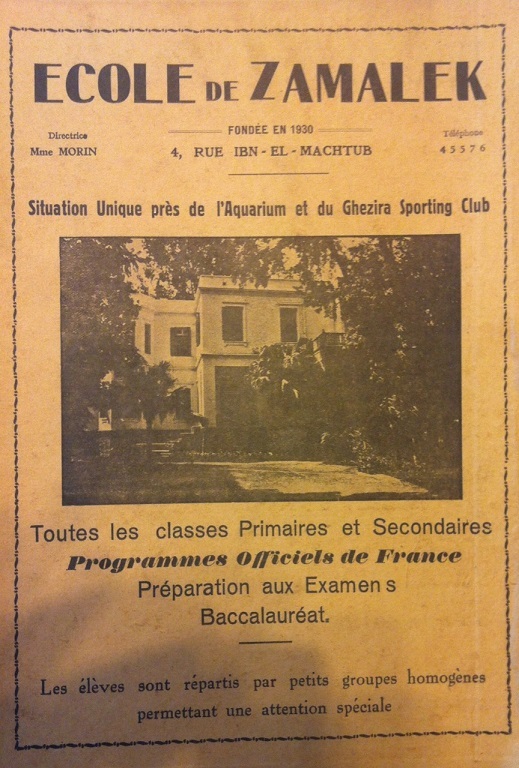 I actually attended it until 1959 (classe de 7ieme, i.e. grade 5) and my mother was a teacher there from the mid-thirties to the end of the fifties. It was called "Cours Morin" in the early days simply because it belonged to a couple of expatriate French citizens by the name of Morin. It mostly catered to rather upper class Egyptians and foreigners. (I could only attend it because my mother actually taught there; we couldn't have afforded it otherwise!) If anyone has any information to share, please write me. Originally, the southern border of the island was closer to al-Roda Island, while its northern border was closer to where Fouad Avenue (a.k.a. 26 July) is now. When Khedive Ismail diverted the Nile's course--part of his grand plan to modernize Cairo, the river moved silt and mud to form what is today northern Zamalek. Up to 1877, when it was deepened, Cairo's western Nile channel would dry up in winter hence its name Bahr al-Aa'ma--Blind Sea. Ismail built another mansion in Zamalek far smaller and less luxurious than his Gezira Palace. The 40-room Villa Zohriya was surrounded by two acres of gardens. Its last pre-1952 tenant was Princess Faiza, King Farouk's younger sister. Since it was already government property, the new regime did not need to confiscate it. Nevertheless, the furniture was sold for LE 30,000. Used today by the Youth & Sports Authority, Villa Zohriya is visible from the 6th of October Bridge minus its garden. You forgot to mention my school, the Alvergna Convent School in Zamalek on Mohammed Mazhar Street. It was affiliated with St. Claire of Heliopolis and the convent school on Avenue Nazli (now Ramses Street).